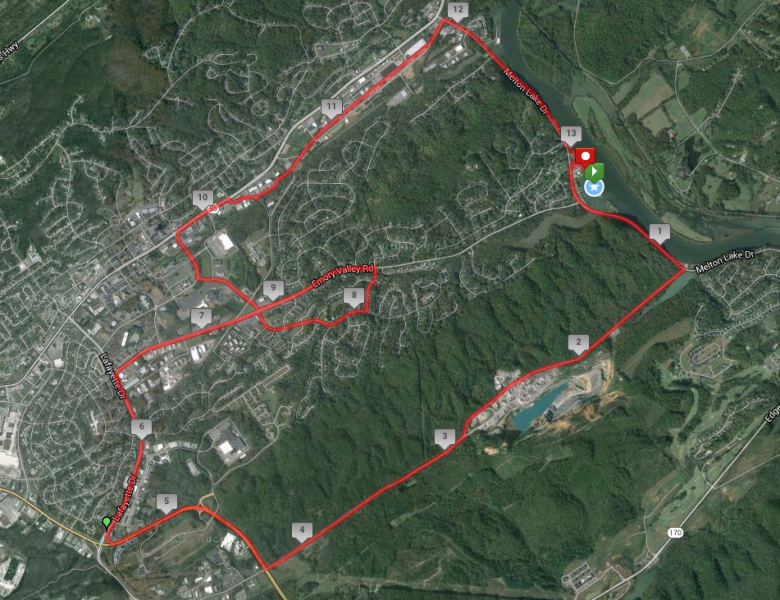 The half marathon route starts at the scenic Melton Lake Peninsula. Enjoy 13.1 miles of mostly flat terrain. Course runs by the beautiful Melton Lake then down by an operational quarry for a change of scenery. Continue along a serene tree-lined private road then wind through Oak Ridge. Finish your race right back at peninsula. Course is USATF certified with certification #TN15066MS. A Race-Logo Dri-Fit Tech Shirt (while supplies last). Please be aware that as long as the size option is available on the registration page then the size is still available. We will do our best to give everyone a shirt in the size they desire. All half marathon participants start at 9:00AM. The time limit for the half marathon is 4 hours. Once streets are re-opened and course support is shut down, any remaining runners/walkers can continue at own risk. Nice public restrooms and porta-johns located at the start/finish. Porta-johns also located along the course at approx mile 2,4,6,and 8. Award winners eligible to receive awards after crossing finish line. Awards will not be mailed.